Most motivated professionals and expert entrepreneurs know the importance and advantages of investing in themselves – developing and sharpening valuable skills that boost their strengths over time. 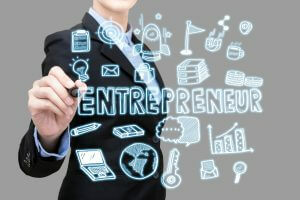 While you certainly require guts and patience to initiate and run a new venture, you also must concentrate on nurturing these six essential business skills that are vital to succeed as an entrepreneur in very critical situations. Your company can instantaneously turn from a good situation to a bad situation when your communication lacks clarity, purpose and impact. On the contrary, effective communication has enough potential to revolutionize an idea, thus, breathing a new life into your product or brand. Besides being a creative and design genius, Steve Jobs, the founder of Apple, was also an influential communicator. If you revisit his marketing taglines and keynote speeches, you will immediately realize how communication played a key role in building one of the most valuable companies in the world. In fact, many psychologists and business experts also believe that effective communication is one of the most important skills to become a successful entrepreneur. In today’s digitally evolved corporate environment, knowing how to establish yourself as an expert professional in your industry is critical to your entrepreneurial success. In fact, branding now includes being active on social media platforms like Facebook, YouTube, Instagram, and SnapChat. It is shaped by content marketing both on and off your business website. However, poor content can result in negative branding. Consequently, it is necessary to determine how to share your content and marketing resources so that your target audience not only wants what you have to offer but also finds it valuable. The objective analysis and assessment of a matter to form a logical judgment is collectively known as critical thinking. It typically begins with questing assumptions, hypothesis, opinions, and claims rather than simply accepting them as gospel. Just like bookkeeping is fundamental to creating business accounts, critical thinking is essential to smart entrepreneurial decisions, making that, in turn, a key to becoming a successful businessperson. Today, we are continuously bombarded with tactful content and sound bites. That is why our ability to question in order to determine what is real and what is not, to understand casual relationships, and to reason logically instead of generalizing from a given data point, has become more critical than ever before. Consequently, question each and everything, especially superstitions and common doctrines. Also, listen to people who challenge your popularly held beliefs. Here, you must resist habitual pressure to look at matters in “us vs. them” or black and white terms. In addition, you should learn to view the world from different viewpoints, perspectives, and angles. Although you may not identify as a salesperson, you are involved in sales to a great extent when you are running a business. You might have a great sales team handling all of your corporate sales. However, whenever you give a presentation about your business products, negotiate with a vendor, or simply convince anyone of anything, you are typically tapping into your sales skills. There are numerous strategies to sell even without selling. Take a moment to think about corporate conversations you have with your potential clients. Those that rendered a sale are probably not hard pitches to get your potential customers to purchase from you. In fact, they largely focus on helping them find a solution to their problem. Thus, you should also concentrate on helping them, instead of selling. This way you will have more confidence in terms of the sales process, making you bring in more sales, too. While listening is necessary for effective business communication, you also have to determine when you should take control of a conversation and assert your viewpoints, opinions and beliefs. Although you need to have an attentive ear to other people’s requests and claims, you also must understand when to say no. You must learn to be consistent and open-minded in order to earn trust and respect from those around you. Most successful entrepreneurs have faced devastating failures and defeats in their lives. Instead of looking at such situations as a demotivating factor, they view them as stepping stones towards their business success. Besides maintaining their perseverance and optimism, they also make smartly calculated changes to their future efforts. Always remember that you fail only when you do not try, as persistence is the key to success in just about any aspect of a business.